Whether you can admit it or not, a lot of us would want nothing more than to find that special someone. Yes, the idea of getting married and living happily ever after is appealing. And there are still some of us out there that are looking for that one true love in their life (be it man or woman). Online dating is no longer one of those things that’s been stigmatized. 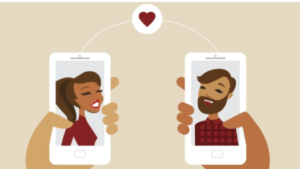 Over the years, more people have been able to find the love of their live via online dating sites like Match.com, eHarmony, OKCupid, and others. However, online dating sites are also a hotbed for scammers to come in and extract as much money from you as possible. And sadly, this is done pretty much every single day. However, knowing that such scams exist, you can be able to know what exactly consists of a scammy profile from a real one. Even if you’re corresponding with someone, it’s always important to do your due diligence to see if they are the real deal. In this article, we’re going to show you what online dating scams are, how they work, and what you need to do in order to protect yourself. If you really want to know the history of online dating, you’ll need to go back as far as the 1950s. No, that is not a typo. Some scientists began using an IBM 650 and programmed a questionnaire to match 49 men with 49 women. Back then, no scammy love matches to speak of. But when exactly did these online dating scams take place? We can only date this back as far as the infancy of the Internet. In 1995, Match.com was the first ever online dating website. Over the years, more of them came along in the form of Plenty of Fish, OKCupid, eHarmony, JDate, and many others. Even today, there are a few other niche dating sites that focus on interests, race, and even political preferences. It’s not exactly known when online dating scams became prominent. But we can bet that these have started to become more visible around the time when the Internet was reaching its peak. Typically, a scammer will often message you first. You receive a message and it appears to be from someone who is considered attractive. Maybe even out of your league. It may not be common for a man who typically is not average in height, looks, or what have you to receive messages from some woman who might be a dead ringer for a supermodel. Bear in mind, women do have their preferences in what they look for in a man (height being one of the biggest factors). For men, they obviously have their preferences as well (we’ll let you be the judge of what they are). But we digress. So, you receive a message that comes with a ton of compliments and what not. Some of them will be straightforward and ask for money right off the jump. However, some scammers will often “slow cook” before they go for the ask. By “slow cook”, we mean taking the time to build a relationship. What the scammer aims to do is contact with you on a regular basis. They want to build as much trust and comfort with you as possible. Once there is enough trust and comfort, that’s when they’ll fabricate some kind of excuse that will set off alarm in your head saying “you’ve got to help this person”. In reality, what they’re trying to do is get you to comply with their “desperate need” for money. This could be a medical situation involving themselves or a “close” member of their family. Something that will automatically get you to be nice enough to open their wallet. They will continue to pull this stunt for as long as possible. Unfortunately, this has landed a lot of people into deep financial trouble. The last thing we want to happen is for your to become the next victim. 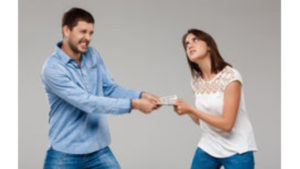 With that said, read on so you’ll know what to look out for and how you can protect yourself from becoming the next victim of this type of scam. One of the more common themes for an average dating profile is that there are multiple pictures that people post. They can be of themselves at home, out and about with friends, or in places that they have traveled. However, some scammers can do this as well. One of the things you should do is do a reverse image search. This will determine whether or not they are using stock photos of a model or if they’re stealing photos from modeling websites (and cutting out the water marks). A scammer may claim to be someone who is in another country for work purposes. Some may even claim to be in the military and currently on deployment. Both of these should be considered red flags. Usually, a real dating profile will be either in your local area or an area of your preferred choosing. One of the biggest mistakes we can make is saying “I love you” way too early in the relationship. Of course, if it’s coming from someone who has never met you in person, then that’s going to be another red flag. This is a tactic when they take you through the “slow cooking” process. As stated, there will come a time when something will come up when they need the money. This could be for a sick relative or some other fabricated situation like not having enough money for a plane ticket. Under any circumstances should you never send money to someone over the Internet that you meet on dating sites. Do not give out any bank account information. This also includes credit or debit card information. If your potential date lives long distance, chances are they should pay for their own expenses to come see you. If they ask for money, then this will likely be a cause for concern. While many people have found success using online dating, some have found failure in the worst way. It is alway important to stay alert and be aware of fake profiles if you use an online dating service. Remember to protect yourself at all times, especially if you are about to meet the person for the very first time offline. As always, never under any circumstances give any information that pertains to your identity or finances to a stranger over the Internet. Do you have any experience with being scammed by a fake online dater? Do you have any questions concerning this scam review? If you do, please leave your comments or questions below, and I will be more than happy to get back to you. Thanks again for checking out my post, and good luck with your success online.. Were you looking for my top, legit work online recommendation instead? Posted in The "All About's"